When Oliver 'Boo' Dalrymple wakes up in heaven, the eighth-grade science geek thinks he died of a heart defect at his school. But soon after arriving in this hereafter reserved for dead thirteen-year-olds, Boo discovers he’s a 'gommer', a kid who was murdered. What’s more, his killer may also be in heaven. With help from his volatile classmate Johnny, Boo sets out to track down the mysterious Gunboy who cut short both their lives. 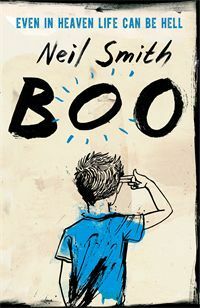 In a heart-rending story written to his beloved parents, the odd but endearing Boo relates his astonishing heavenly adventures as he tests the limits of friendship, learns about forgiveness and, finally, makes peace with the boy he once was and the boy he can now be. It’s really not Neil Smith’s fault that I read Alice Sebolds The Lovely Bones at such an impressionable age, but as I was reading this book I couldn’t stop myself from constantly comparing the two stories. Boo, like The Lovely Bones, has a protagonist who is murdered and the story very much revolves around his afterlife as well as an ongoing mystery as to who killed him. I do appreciate that this book tries something different but I really don’t think Boo achieves what it set out to do. Firstly, I just didn’t buy into Smith’s image of Heaven (although it’s not called this in the book). I guess it works sort of if you look at it as a period of limbo but I still don’t buy the idea that these kids who die from tragic circumstances like murder and abuse and cancer would all be forced to live in dormitories and perform mundane tasks like cleaning for fifty years before ~passing on for real. As well as that, what also baffled me was the absurdity of segregation in Smith’s Heaven. Like…all the American kids live together in strictly segregated groups so that no other nationalities can mix. I just don’t see why this would ever matter in death or what that kind of thought is doing in a book aimed at modern teenagers in a vastly multicultural world. The Lovely Bones also plays with the idea of a temporary Heaven before moving on to something beautiful but that Heaven still represents something that made the protagonist of the story happy in her life. For example, the buildings in her Heaven are replicas of buildings she loved in her life; another girl’s Heaven involves her twirling in her dress perfectly but this is completely absent in Boo. I would like to think that children who die would go on to some place better, not something as banal as Oliver’s fate in this book. And above all of these issues I had with the worldbuilding, the most confusing thing for me was how all these kids never mention their families or loved ones. They just…don’t seem to miss them and I just cannot buy that in any capacity. 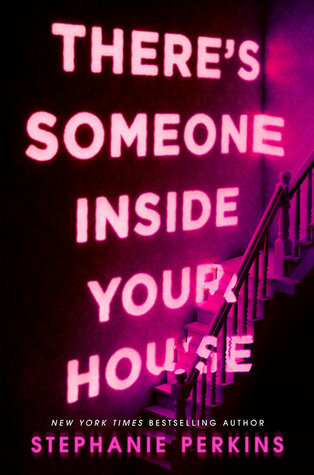 Oliver comes from a loving family and he writes a letter to them throughout the novel but other than that never misses them or even wants to look in on them, and I know that if I died my family and friends would be the only things I would be able to think about (coming for you if I die first Amber, xoxo). There’s also this really bizarre thing where not even animals who die can exist in this Heaven except for once every ten year occasions in which a kitten or budgie appears for a few months or years and then dies AGAIN. Because that’s not weird or traumatising for a bunch of preteen kids to have to deal with on top of their own traumatic deaths. So yeah, the worldbuilding? Not a fan. The characters? Eh, also lacking in complexity. I mean, they’re fine, I guess? Oliver talks like a middle aged man or like someone on the autism spectrum (this is never mentioned in the book but Smith narrates the book in a voice that typically shows up with autistic protagonists) and I liked Johnny but ultimately all of them are forgettable. I also have another issue that is illustrated with a girl who Oliver meets early on in the novel – she is a little person and when Oliver questions why, in this Heaven, is she not ~cured another character points out, quite sensitively, that there is nothing wrong with being a little person. Yet this positive commentary doesn’t extend to mental illnesses – kids who were suicidal in life are suicidal in death, and reside in homes for mentally ill kids. I just..what. Bipolar or depressed kids are also treated differently and it’s just so bizarre. I don’t know how I feel about the book trying to stress that on one hand there isn’t anything wrong with physical differences but mental differences are still something to be frightened of. A lot about this book makes me very uncomfortable tbh. Finally, I wasn’t engaged with the story at all. The mystery of who killed Oliver isn’t much of one because really there are only two suspects. It wasn’t a book that I enjoyed, unfortunately and although it might have been unfair I did constantly compare with The Lovely Bones and came away from this book knowing that The Lovely Bones did this story first and did it far better. P.S. Read The Lovely Bones, ‘kay.